An industry area where Piletech has excelled in recent years is the energy sector. A major player in this field is Transpower, who, as a result of our performance on previous projects and early involvement with AECOM in the design phase, nominated Piletech for the piling contract at the Redclyffe Substation. 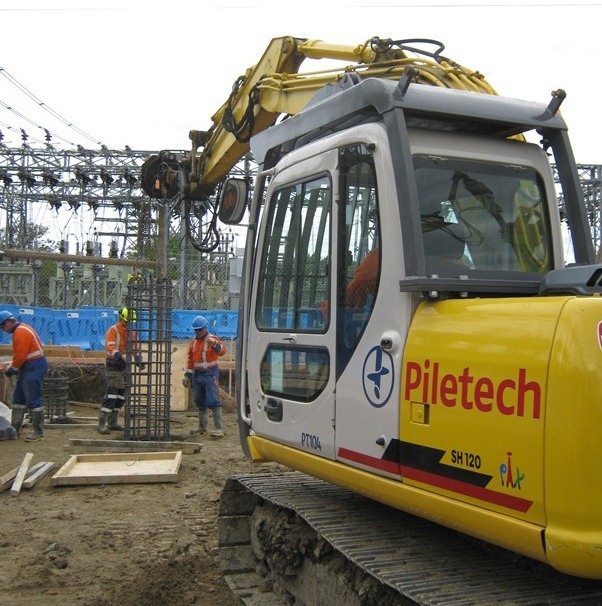 In November 2012, Piletech commenced work at the small substation south west of Napier. Over the one-and-a-half-week programme, 56 screw piles were installed and 52 bored piles were constructed to provide foundation support for two new 110 kV transformers and a switchgear building. 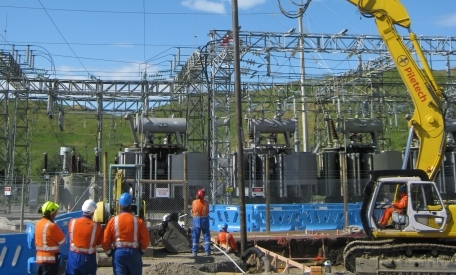 Work was carried out in a live substation environment, with the site bordered by 110 kV transmission lines feeding into the substation. 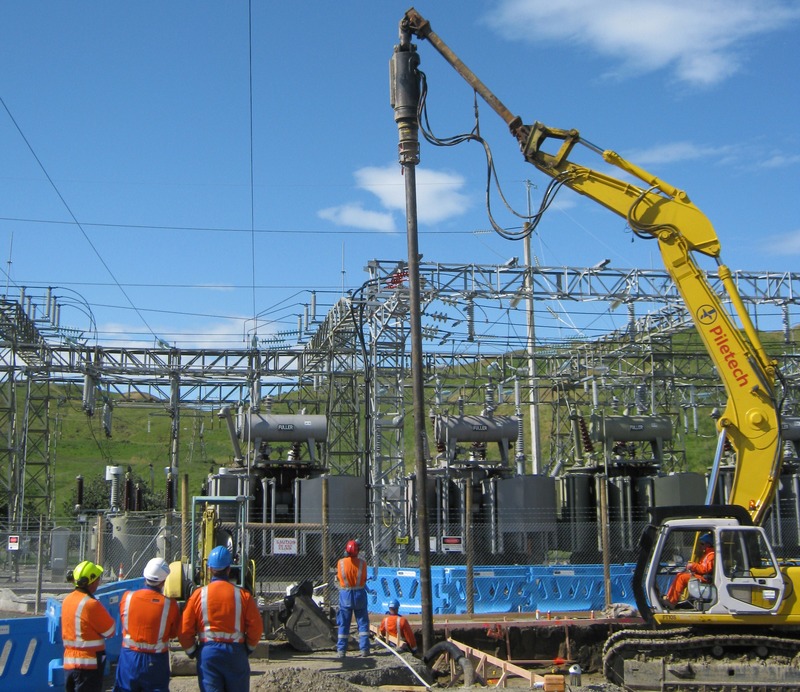 The manoeuvrability of the piling rig and an experienced and accurate operator allowed the screw piles to be installed as close as 4.2 metres from the 110 kV conductors. An earth cable was connected to the piling rig at all times during these operations. Three of the piles needed to be installed directly below the overhead lines, where the working space was tight and potentially hazardous. The team successfully overcame this challenge by installing these three in shorter sections and splicing together until they reached founding depth. The 52 short-bored piles, designed to provide additional lateral support to the foundations, were completed concurrently. Careful planning was required to ensure the two types of piles were installed on time, and to accommodate the team, the materials and the plant and equipment on the small site.